I wanted to share with you some of my favorite parts of Princeton, and a little background on why I love it so much. 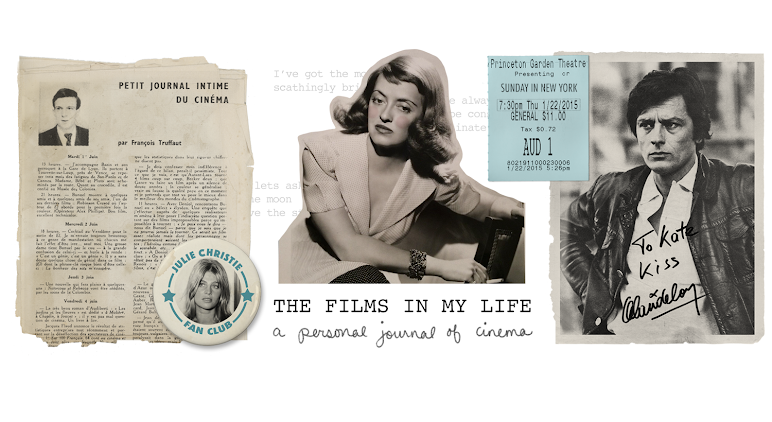 To put this in the context of film, since that is what the blog is about -- just picture Jimmy Stewart and F. Scott Fitzgerald visiting the same spots I show you. I'm sure they did while they were students at Princeton! 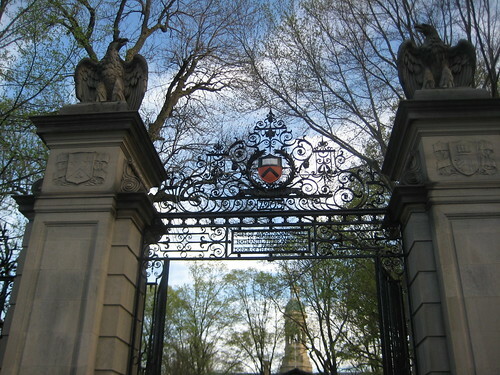 These are the gates to the University. It's a really grand entrance, but because all of the architecture in Princeton is very grand and gothic, the gates are not intimidating; they are welcoming. The whole campus is covered in ivy, and you can almost hear the echoes of history as you walk around. 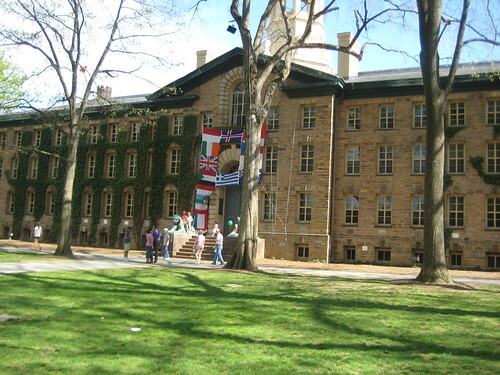 The campus has been there since 1756. Nassau Hall is steeped in history-- for several months in 1783, Princeton was the capitol of the United States, and Nassau Hall was the 1783 equivalent of Capitol Hill -- our entire government was in this building. According to university history, "Here Congress congratulated George Washington on his successful termination of the war, received the news of the signing of the definitive treaty of peace with Great Britain, and welcomed the first foreign minister—from the Netherlands—accredited to the United States." 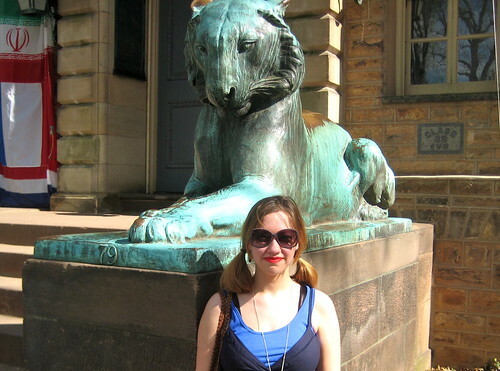 This is me in front of one of the famed Princeton Tigers at Nassau Hall. I've always wanted to have my picture taken here, but the only one I have is from when I was a wee little lass, when I was actually sitting ON the tiger. I'm pretty sure we have a picture somewhere of my dad as a kid doing the same thing. 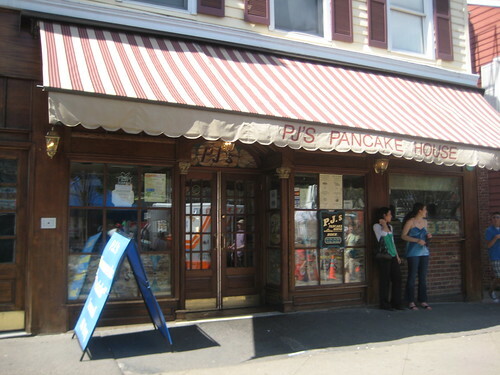 PJ's Pancake House has been around for ages. It's a really quaint restaurant where they let people carve their names into the wooden tables. I didn't eat there today, so I didn't get any pictures of the tables (sorry!) but the carvings have been there for a really long time-- every time we go my mom tries looking through the hundreds of names on our table to see if she can find my grandmother or my grandfather's names. We're not sure that they ever did carve their names into a table, but we do know that they carved their names into a tree (is that too sweet or what?!) near a lake in Princeton. This is the street my dad grew up on. 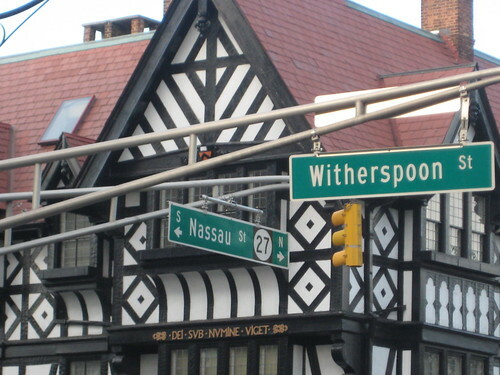 My great grandfather owned a building block on Witherspoon St. where he had a furniture store in the early 1900's. They also owned, I think, two other storefronts that they rented out, and had an apartment complex on the second & third floors. 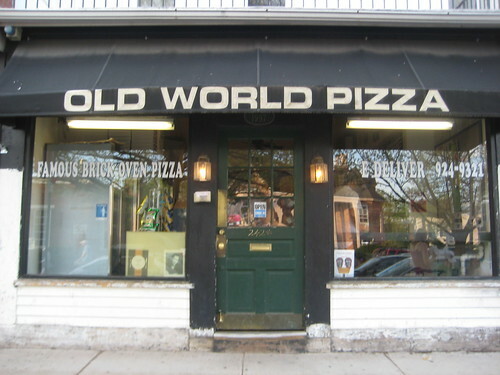 My grandmother and her siblings owned the building until the 1970's when they decided to sell -- just before the Princeton renaissance, when prices shot through the roof. We all have that one family decision ("if we had only done THIS we could have been millionaires"-- this one is mine!) My dad moved out of Princeton before I was born, and my grandmother died when I was three, but my dad has relayed a lot of my grandmother's stories of Princeton to me -- she said she used to see Albert Einstein in town all of the time, and he always had on mismatched socks. Isn't that neat?! I wish my dad had "interviewed" her like I just did for my great aunt, because she had so many stories to tell. 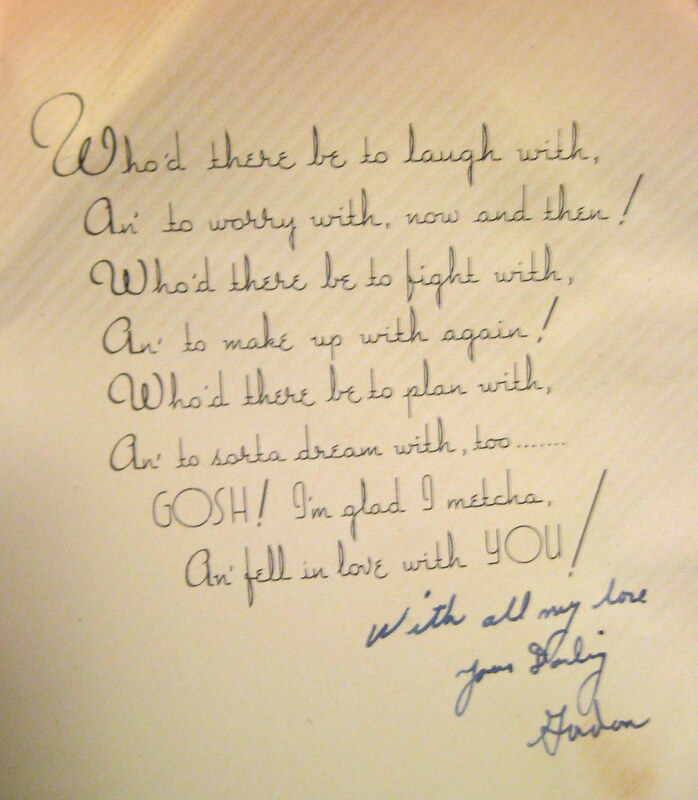 She and my grandfather kept up a very lengthy correspondence during World War II, when he used to send her poems! Unfortunately, we only have my grandfather's letters, but my mom has been transcribing them little by little for my dad. 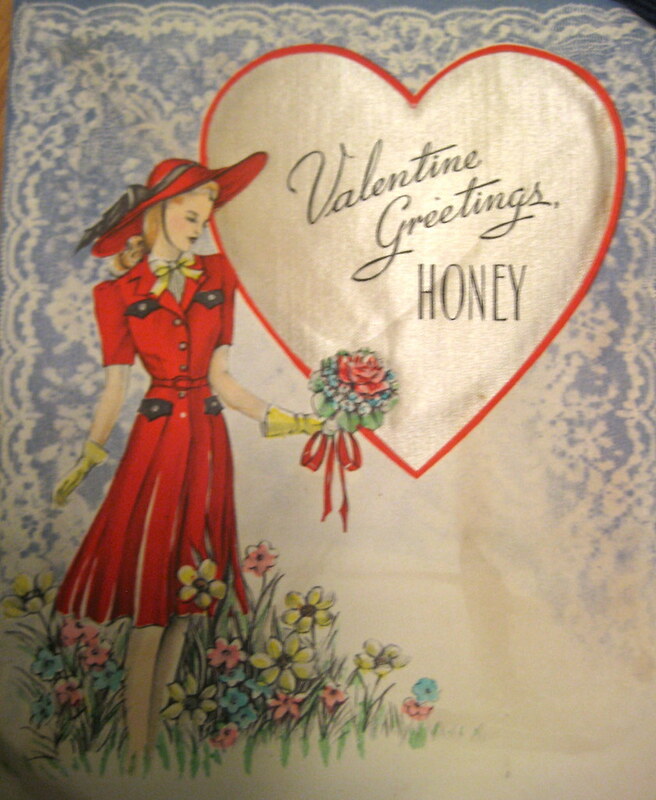 This is a Valentines Day card that my Grandfather sent to my Grandmother during WWII. They were courting at the time, not married yet, and you can tell from his letters & poems how much he loved her. I won't publish the letters or poems here because they are private, but my mom thinks that someday their love story would make a great movie. I loved the verse inside; it's so 1940's-ish, isn't it? These are my grandparents, Eve and Gordon. Aren't they a sweet couple? They got married and had my dad a lot later than most people at the time; I think they were almost 40 when he was born. So I never got to meet my grandfather, and I only knew my grandmother for three years before she passed away. My grandfather was reportedly the king of corny jokes (a trait my dad has inherited) and my grandmother was a sweetheart who didn't know how to cook. My mom said they were deeply in love for their whole lives-- when my grandfather died, my grandmother did not stop mourning him. It was over a year before my parents could get her out of the house to a restaurant. I wish so badly I could have met them. I don't have many pictures of my dad's parents, but I have tons from my mom's side of the family-- and I have a lot posted on my flickr account-- I've been scanning and adding a lot of them lately. It's only visible to friends and family, though, so if you want to see them, just go to flickr.com/kategabrielle, and mark me as a friend. I hope you enjoyed my little tour through Princeton & my family history in the town. 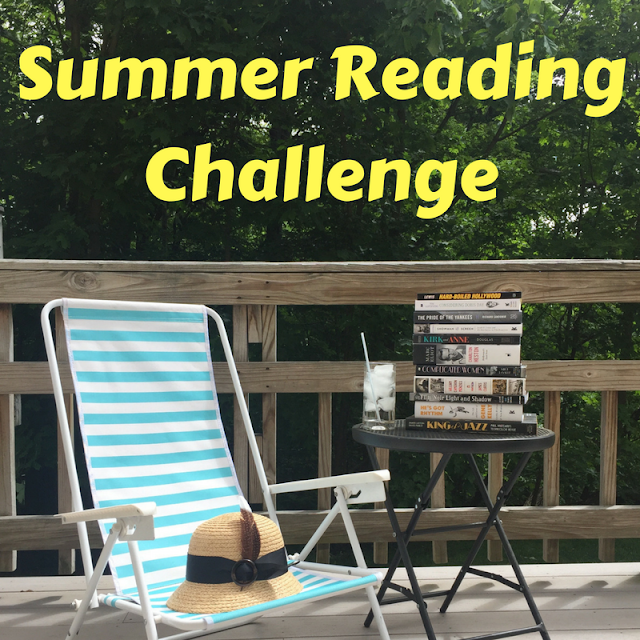 I was in a very genealogical mood today, and I had lots of fun doing this post. I'll be back to the normal routine tonight (remember-- song of the week returns!) but I hope you didn't mind this little diversion. The bit about your grandparents was very touching. They look so happy together. I'm glad your family has such a happy history. 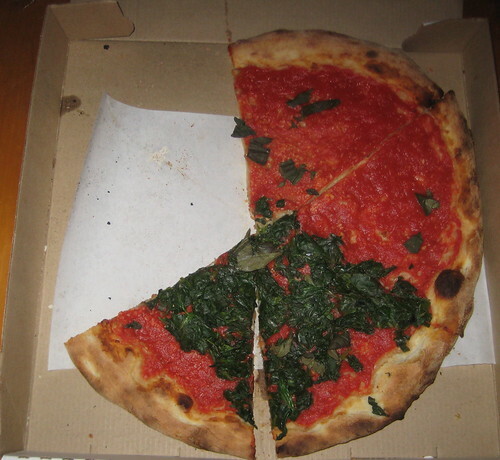 The photo tour of Princeton was such fun. I didn't know that little tidbit about it being the capital for a short time. I'm totally envying you that yearbook. You must have been so excited when it turned up! 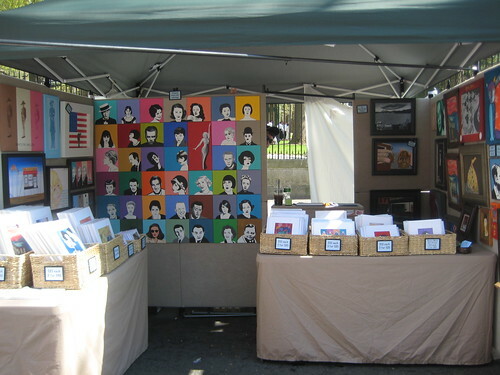 Your booth looks great! I'd love to go to Princeton now that I know a little more about it. Your grandparents sound adorable. I'm a bit inspired now to scan in some things! Very enjoyable tour & look into your family history. Always love looking at old photos & photos of old objects; really enjoyed this. this is such a lovely post, i thoroughly enjoyed reading it! 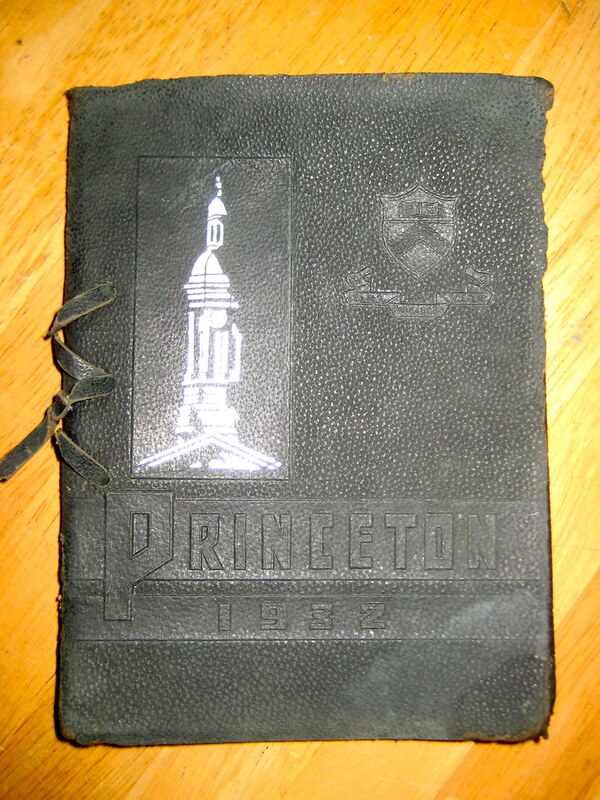 the history of princeton was fascinating (i've never been/JIMMY) and the story about your grandparents touching. i love finding old mementos of relatives past, makes me feel closer to them. Like the other commenters, I especially liked the story about your grandparents. casey- thanks-- I'm glad you like it! I actually just learned about it being the capitol not too long ago. Oh! 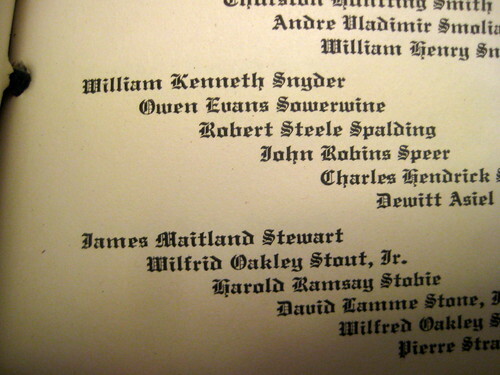 When we found that commencement book, and saw "James Maitland Stewart" I was like - hurry up! look on IMDB! 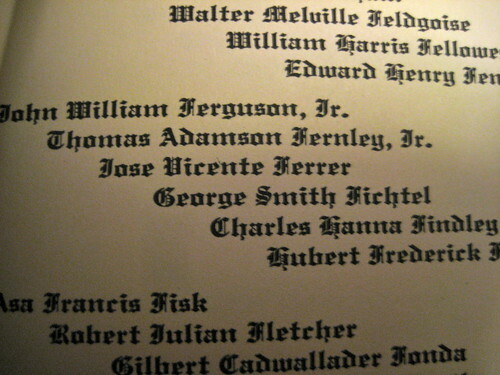 Was that his middle name?! It was like the find of the century!! 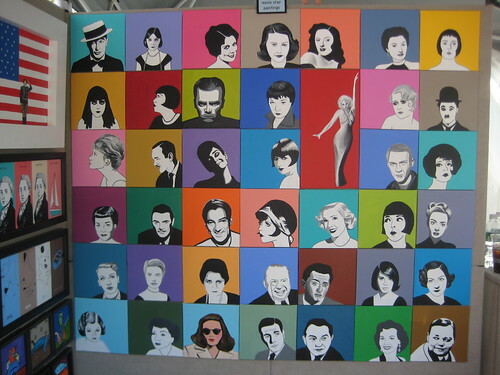 My ultimate career goal is to be an artist-- I'm just going to school for the heck of learning. Sarah- Thanks! It is a really nice town if you're ever nearby you should stop there. Please scan some things! I love seeing old mementos! Meredith- Thanks! It is nice that my grandmother left so many mementos behind, I do feel like I've gotten to know her and my grandfather by looking through them. Kate, you are so cute! I loved this post! Your grandparents really were sweet; I wish I had met my grandmothers from both sides of my family. My grandfather passed away when I was ten, but I didn't see him often. My grandparents didn't live in the States however, so I have no idea if any cool Vinatge stuff is floating around. Thanks graciebird! I'm so sorry you didn't get to know your grandparents. At some point you should try to track down your family outside the states and see if there are any mementoes you could have. It would be nice just to see something, you know? I really appreciated this personal post. 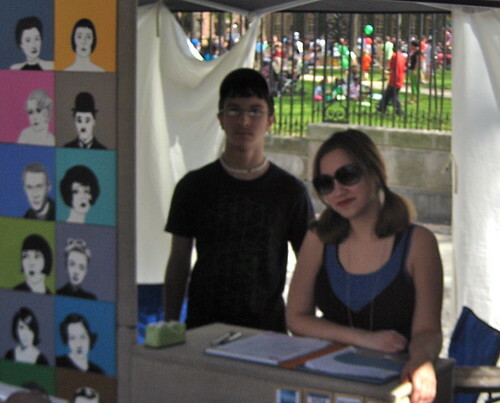 The booth turned out really well I think. You did a very fine job with it! And I did not realise Princeton was such a beautiful town. Oh, and I forgot to mention how AWESOME it was that you were there at Princeton, where Fitzgerald went! LOVE him. 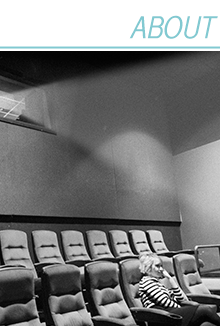 And also equally awesome, Jimmy Stewart! You're so lucky! Hey there. These photos are all great. Thanks for sharing such a wonderful post with us. Take care. Have a fantastic week. Cheers! Kate - I do the same thing, I just make sure to edit it out before I post. It's just a defensive thing us girls do. We'd rather point it out first than have someone point it out to us later. I grew up about an hour from Princeton, so I found this post really interesting. I actually went to a doctor in the area a few times last year, and it's an absolutely beautiful place. And the part about your grandparents was so sweet.